So, what did I get in the week of Sunday, June 3rd to Saturday, June 9th? Thank you, HMH Teen! This was a lovely surprise and I adore the goodies. I am so excited about this book! 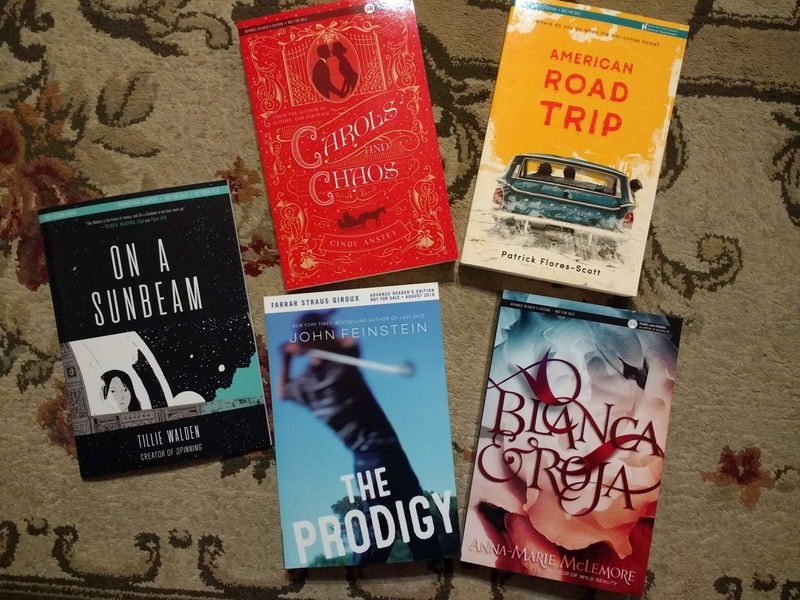 Thank you, Tor, Berkley, and Penguin Teen! 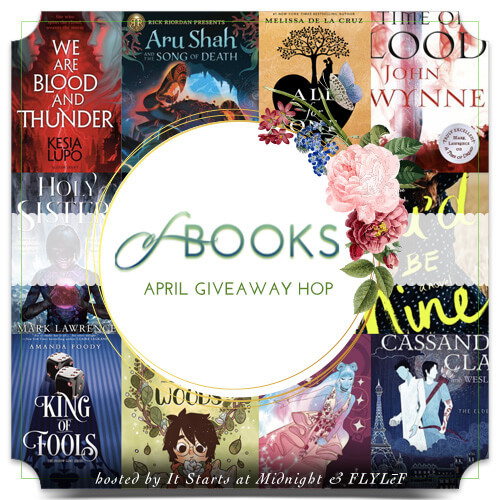 Especially Penguin Teen, for the signed hardcover copy of Reaper! This is NOT an early preorder; the publisher sent it. There is a lot of confusion going on with Amazon sending Sabaa's latest book out way early (it publishes on June 12th so no one should be getting it from Amazon before then). Thank you so much for this amazing package, Macmillan! I chose this one specifically for Carols & Chaos and I am SO EXCITED to receive it. Ahhhh! None this week! 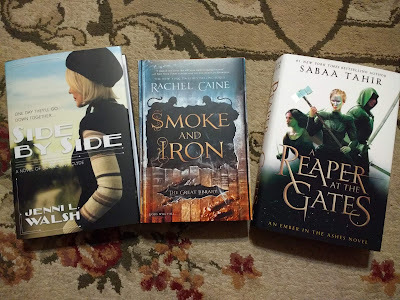 I'll have a post about the Smoke in the Sun event soon though, and my recent book mail. Check out my Smoke in the Sun recap! 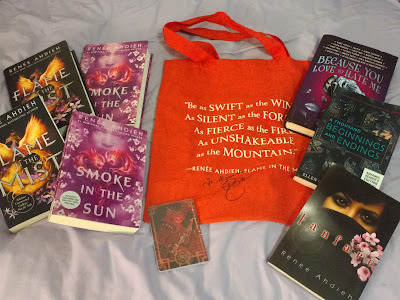 On Wednesday, I attended the Fairfax tour stop of Renée Ahdieh's Smoke in the Sun tour! It was so much and I had a great time. Penguin hosted a pre-event meet & greet one hour before the actual event, so my sister and I got to sit down and talk with Renée Ahdieh, which was probably the highlight of the evening for me. And as you can see in the picture above, I got all of my books signed! I actually met Renée last year in Arlington, Virginia (at the NoVa Teen Book Festival) and she signed all of my Wrath/Rose copies. So now I'm all set until I buy more of her books, or her next book publishes! Whoa! What a week of goodies for you. Lots of good reading for you there and that is so cool that they sent you a signed copy. OOh nice! I am super curious for Grim Lovelies!! The little enamel buttons look so cool! Those are my favorite kind! Lol! 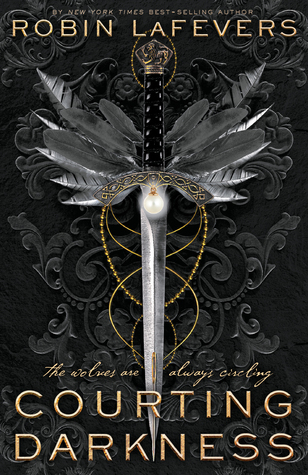 I thought it weird that Amazon might be shipping some copies of Reaper early but then they did ship my book of Renee's early because I tried to cancel it last Friday and they were like oh no we can't do that, it's be ready to ship, which I thought was impossible because I have prime and 2 day shipping, the book would arrive before the release date. And it did. Amazon was really jerky about it too. 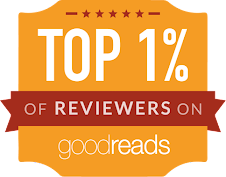 Hope you enjoy all your lovely new reads! Cannot wait to read Reaper next week...as long as Amazon ships that one on time since they haven't told me it shipped yet! Weirdos! Lol! Happy Reading!! 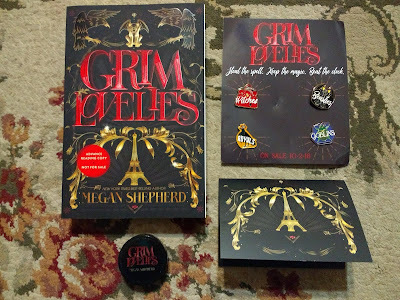 Grim Lovelies (love that title) looks awesome. And American Road Trip caught me eye too. Glad you got to meet Renee Ahdieh again- how fun! Nice haul! I can't wait for my copy of Smoke and Iron to arrive! You get some of the best book mail. I am excited about Carols (can't wait to get your opinion), and I am really interested in The Prodigy and Blanca & Roja as well. Enjoy! Wow you had an awesome week! I actually forgot that Renee was on tour, but it sounds like you and your sister had a great time! 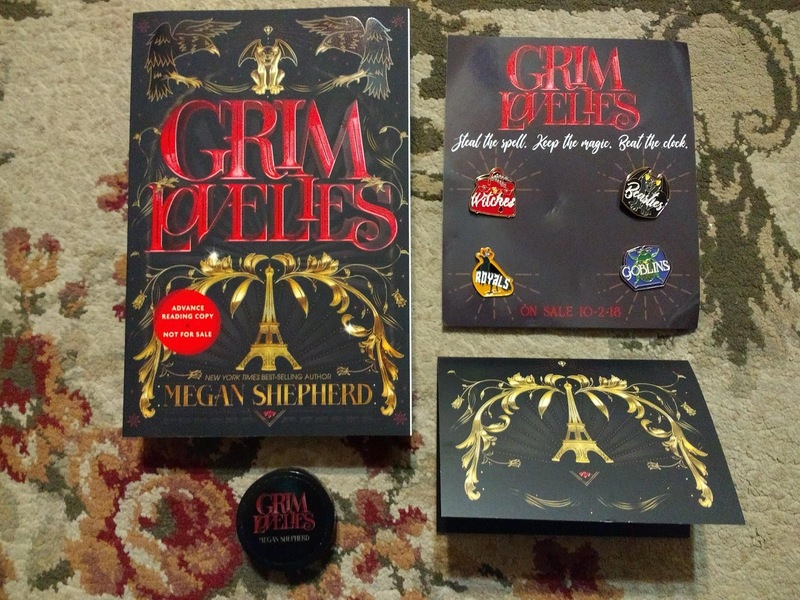 Ahhh look at that pretty Grim Lovlies package! That one sounds so good. Happy reading! Grim Lovelies sounds so good. That looks like a pretty package!! Happy reading! 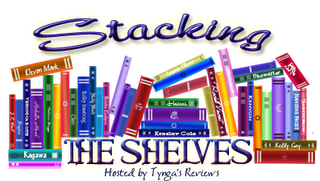 Lots of fun books! and that's awesome you have all your Renée books signed now. You got the Reaper and Smoke in the Sun! I am a little okay a lot jealous of you right now! Happy reading for sure!